Hereke carpets are only produced in Hereke, a coastal town in Turkey, 60 km from Istanbul. The materials used are silk, a combination ofwool and cotton and sometimes gold or silver threads. The Ottoman sultan, Abdülmecid I founded the Hereke Imperial Manufacture in 1841 to produce all the textiles for his Dolmabahçe Palaceon the Bosphorus. He gathered the best artists and carpet weavers of the former Ottoman Empire in Hereke, where they began producing high quality rugs and large carpets with unique patterns. After completing work on the Dolmabahçe Palace, the Ottoman sultans used to give Hereke carpets as gifts to selected visiting royalties, noblemen and statesmen. It was not until 1890 that some traders in Istanbul were allowed to sell some of the pieces made at Hereke. With the end of the Ottoman Empire the production of Hereke carpets was restricted until the middle of the 20th century when some master-weavers in Hereke began once more to produce the carpets in continuation of the tradition of the Ottoman palace carpets. As of 1920, Hereke was home to a carpet making school which was ran by the state. Both Muslim and Christian women and children attended classes. 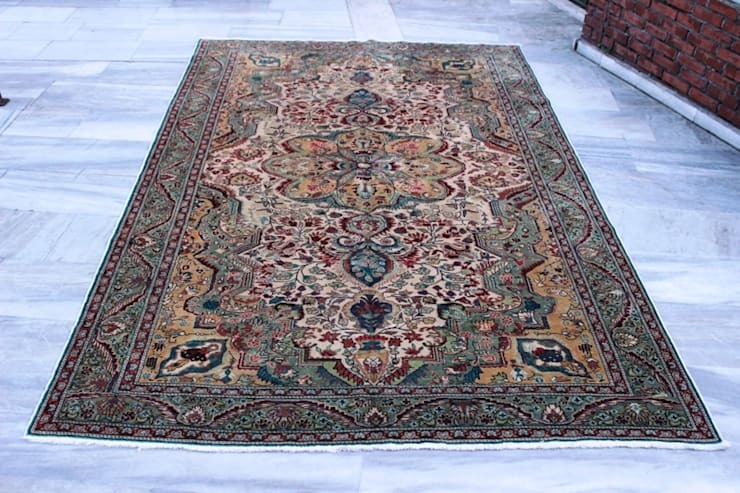 Hereke carpets typically are very large, palace sized carpets, and are made with wool on cotton, camel hair on cotton, silk on cotton as well as silk on silk, which are knotted in small sizes. The precision of their double knots (Turkish or Ghiordes knots), which allows the clear display of patterns, together with the colour combinations and the harmonious patterns have made them highly collectible. Today, Hereke carpets and rugs are still made with the traditional patterns of the Ottoman sultan, Abdülmecid I, as well as both traditional Anatolian and contemporary figurative patterns. 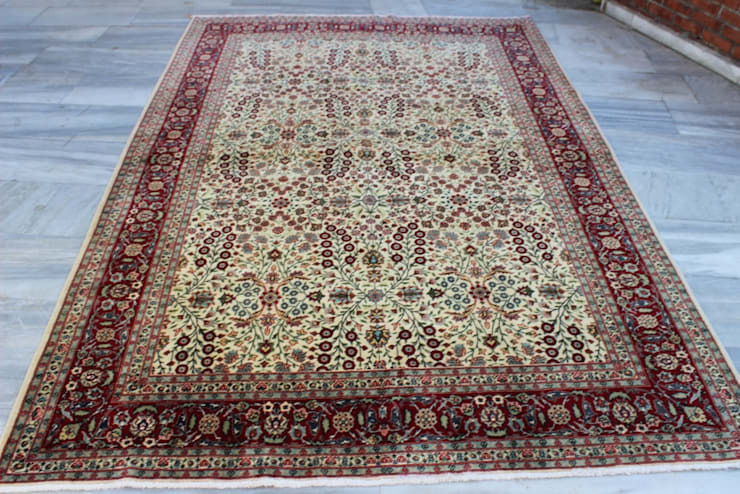 A Turkish carpet is a knotted, pile-woven floor or wall covering which is produced mainly in Anatolia and neighbouring areas, for home use, local sale, and export. Along with flat-woven kilim, Turkish carpets form an essential part of Turkish culture. 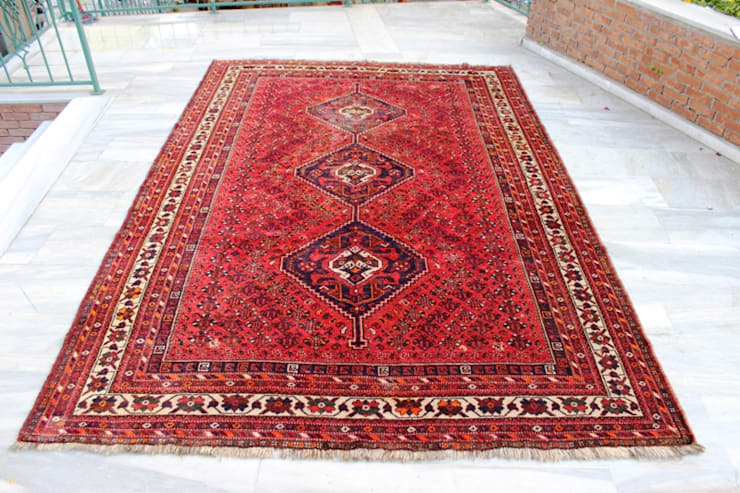 Carpet weaving represents a traditional art, dating back to pre-Islamic times. 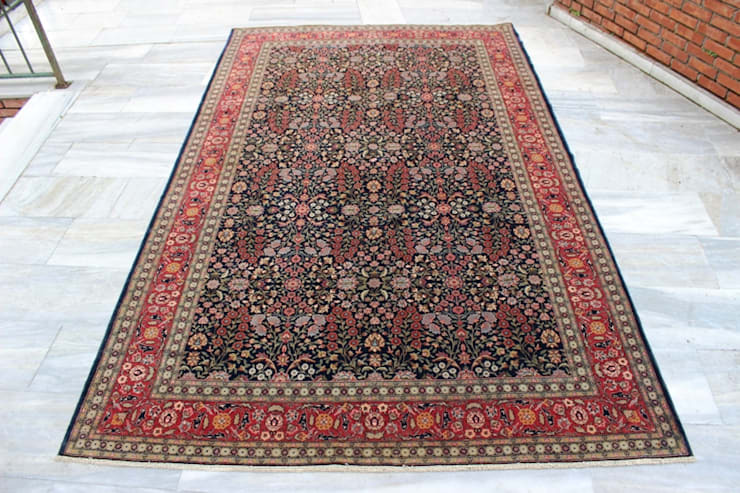 During its long history, the art and craft of the woven carpet has integrated different cultural traditions. Traces of Byzantine design can be detected, Turkic peoples migrating from Central Asia, as well as Armenian people, Caucasian and Kurdic tribes either living in, or migrating to Anatolia, brought with them their traditional designs. The arrival of Islam and the development of the Islamic art also influenced Turkish carpet design. The history of its designs, motifs and ornaments thus reflects the political and ethnic history and diversity of the area of Asia minor. However, scientific attempts were unsuccessful, as yet, to attribute a particular design to a specific ethnic, regional, or even nomadic versus village tradition. When political contacts and trade became more intense between Western Europe and the Islamic world after the 12th century AD, also woven carpets became known in Europe. As direct trade was initially established between Europe and the Ottoman Empire, all kinds of carpets became known in Europe by the trade name of "Turkish" carpets, regardless of their actual provenience. When Western European art historians developed a scientific interest in "oriental" carpets in the late 19th century, the richness and cultural diversity of the carpet designs was better understood. Within the group of oriental carpets, the Turkish carpet is distinguished by particular characteristics of dyes and colours, designs, textures and techniques. Usually made of wool and cotton, Turkish carpets are tied with the "Turkish", or symmetrical knot. Examples range in size from pillow (yastik) to large, room-sized carpets. The earliest known examples for Turkish carpets date from the thirteenth century. Distinct types of carpets have been woven ever since in workshops, in more provincial weaving facilities, as well as in villages, tribal settlements, or by nomads. Carpets were simultaneously produced for these different levels of society, with varying materials like sheep wool and cotton. 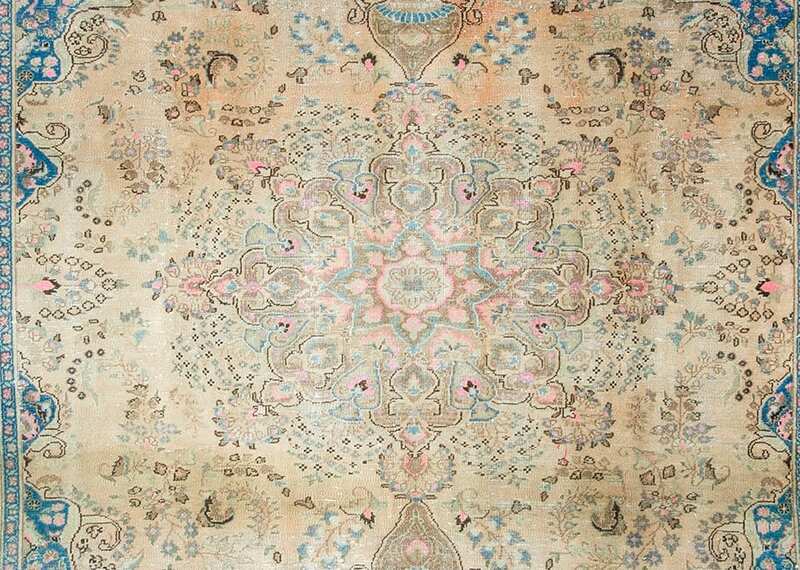 No silk piled carpets made in Turkey have been found that were before 1870. Not till the early 20th century were silk pile carpets knotted in Turkey using silver and gold threads with patterns based upon 16th century Imperial Safavid Iranian carpets. Shiraz Lovely design Persian Area Rug. 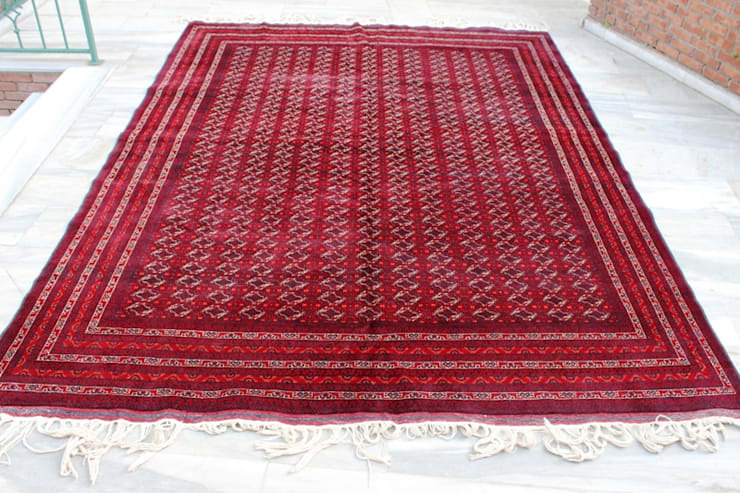 Very rich colors and very thightly woven best quality Afghan Rug.